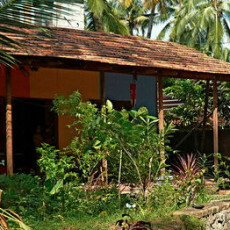 AsinMomo Homestay is located at Edava in Varkala, Trivandrum. Comfortable rooms with attached shower and toilet and Wifi for really reasonable prices available. Home made Indian food also available. A local family, is your host. AsinMomo Homestay organizes bicycles, motorbikes, cars, scooters and rikshas for rent.